All deliveries are made using trackable Express Post through Australia Post. This service provides guaranteed delivery that is safe and efficient, and allows packages to be tracked at each stage of its journey to your nominated address for optimal security. Shipping costs are influenced by your location and the weight of your total order. You can see the price by entering your post code into the freight calculator. This calculator appears in your shopping cart page, under the item/s you have added to your cart. 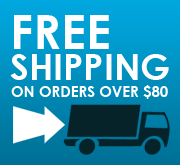 How do I receive free shipping on my order? All orders where the combined product value within the shopping cart is $80 or more will receive free shipping! Yes, we ship to selected international countries. A list of the selected countries can be found in the checkout page. We will send you a confirmation email to your supplied email address as soon as your order is dispatched. All purchases will be dispatched by the next business day after ordering. Yes, we offer PayPal as a payment option. We also accept credit card, direct deposit and funds transfer. Why is contact phone a required field at the checkout? 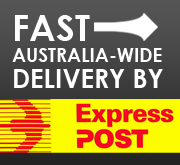 We use express post run by Australia Post. It is Australia Post's requirement that the customer's contact number is available for the parcel delivery. Do you sell Australian compliant chargers? Yes, all charges sold by Mobile-Mate are Australian compliant. An approved charger will have a tick symbol to indicate it has met with Australia's electrical compliance. Look for these symbols on your charger to see if it meets Australian standards. Mobile-Mate recommends that you refrain from using your phone whilst it is charging. What is your ABN number? What type of security is used to safeguard my personal information? All information entered on this site is High-grade encrypted (AES-128 128 bit Encryption) before being transmitted over the Internet. Encryption makes it very difficult for unauthorised people to view the information travelling between your computer and our server. It is therefore very unlikely that anyone could read the information you entered on our site as it travels across the network. This ensures that your transaction is secure. For more information in regards to security click here. What if I'm not satisfied with the product I purchased? Mobile-Mate is determined to ensure customer satisfaction at all times, so any purchase you make is backed by a total satisfaction money-back guarantee. If you are unsatisfied with your product within 3 months after purchase, simply email us and an exchange or refund can be arranged. For more information, please refer to our Returns Policy.